Although Apple, famous for blowing off CES each year, doesn’t exhibit at the event this time, the show was far from free of its impact. The company has demonstrated that its attentiveness on a few well designed devices with a great user involvement and securely integrated ecosystem is a winning track! With this said; it seems that most corporations that belong to the same industry have just given up completely and begun a game of follow the leader! The most explicit example of this was a slide displayed by Acer when showing off its new cloud service for photos. 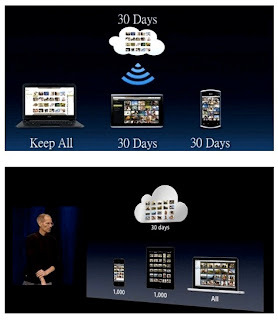 The slide looked so similar to the Photo Stream slide from Apple’s iOS 5 announcement that it was absolute comical situation... The same offering with the same visualizations – so what’s the news? On the other hand, Android head Matias Duarte announced a ‘style guide ‘for Android app developers, aiming to help them with “typography, color palettes, and other stylistic advice” extremely similarly to Human Interface Guidelines of Apple, guiding on how apps for iOS and OS X should easily work.